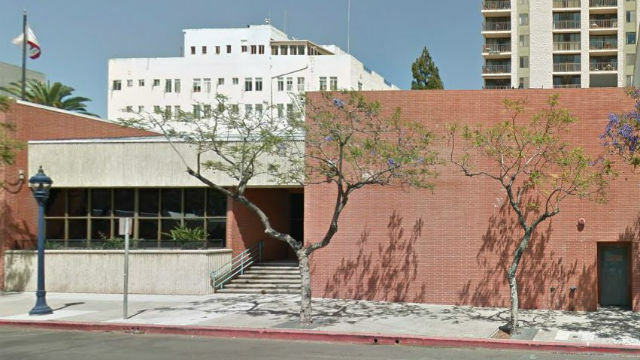 The Board of Supervisors Tuesday unanimously approved plans to demolish the downtown Family Court building to make way for an affordable housing project. The county will advertise and award a contract to demolish the former courthouse at 1501 and 1555 Sixth Ave. to make way for the affordable housing complex. At least 50 percent of the units will be dedicated as affordable for special-needs and vulnerable populations, according to the county. Supervisors directed county staff last year to review properties ripe for redevelopment into affordable housing, and the downtown building was deemed appropriate based on land use, zoning and environmental factors as well as proximity to transit, jobs and services. The building is no longer needed for court hearings, since the Family Court moved to the new downtown courthouse earlier this year. “I’m enthusiastic about this going ahead,” Supervisor Ron Roberts said. Demolition costs are estimated to be $2.5 million, according to a county report. Funds would come from the current fiscal year’s Department of General Services Facilities Management Internal Service Fund. The county can offer a ground lease for “near-term” development of affordable housing after the building is demolished. In a separate item, supervisors voted unanimously to extend a contract with Interfaith Community Services, which has been providing outreach, emergency motel shelter and case management services to homeless individuals in response to the hepatitis A outbreak. More than 100 households have been assisted by the program since its inception in November, according to Supervisor Dianne Jacob. The supervisors amended Interfaith’s contract through June 20. Both items were approved unanimously. Supervisors Kristin Gaspar and Bill Horn were absent.